My family love pizza and so I usually make extra and we have leftovers for lunches. However being picnic weather I don’t always find cold pizza transports well. So this weekend I played around with making pizza pinwheels which have promptly been names pizza rolls by Miss K. Her initial comment was “Mummy what’s this” followed by “Can I have another”. My 9 month old baby also found these easy to eat and quickly demolished one. The fiddly bit about these is rolling them up, and that really isn’t too tricky. What is tricky is keeping enough back for the freezer stash too! What I love about these is how versatile they can be, you could fill them with all sorts of things. I pretty much emptied my leftovers out of the fridge for these ones. These transported very well, in fact probably better than sandwiches would have done. They survived Miss K shaking the picnic box, turning it upside down and a trip in the bottom of the buggy. 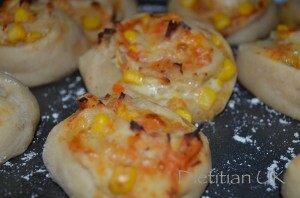 Healthier than sausage rolls, pies and pasties…. A definite must for the picnic season and the buffet table too. Make the dough by hand or in a bread machine. Preheat the oven to Gas Mark 5/200C. Roll out the pizza dough on a floured surface to about 1/2 inch thick, aim for a rectangle. Spread the tomato puree and lentil soup/pesto on the top. 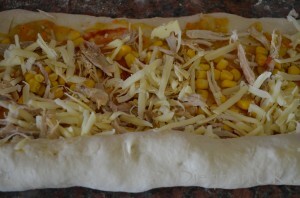 Now start to roll it up lengthways. 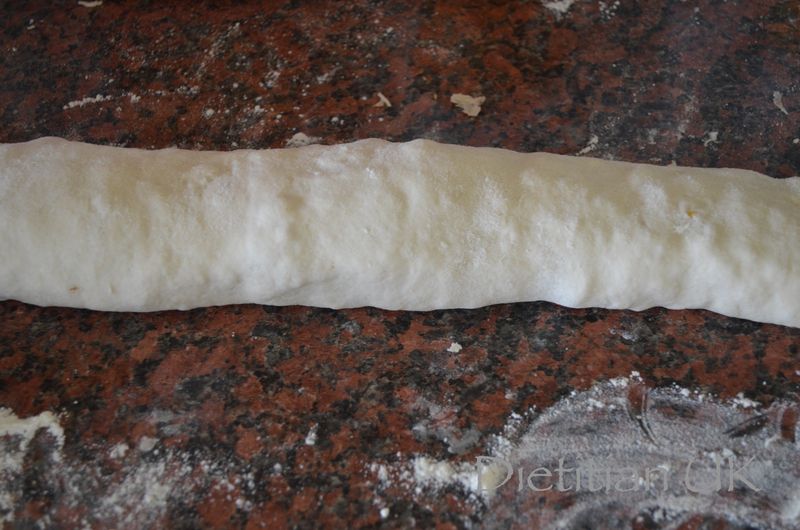 start at one end and work all the way along, just turning the edge over, then continue this process rolling it a bit at a time working lengthways along the dough each time. Try to roll it fairly tight. Now slice it into 1 inch rounds. 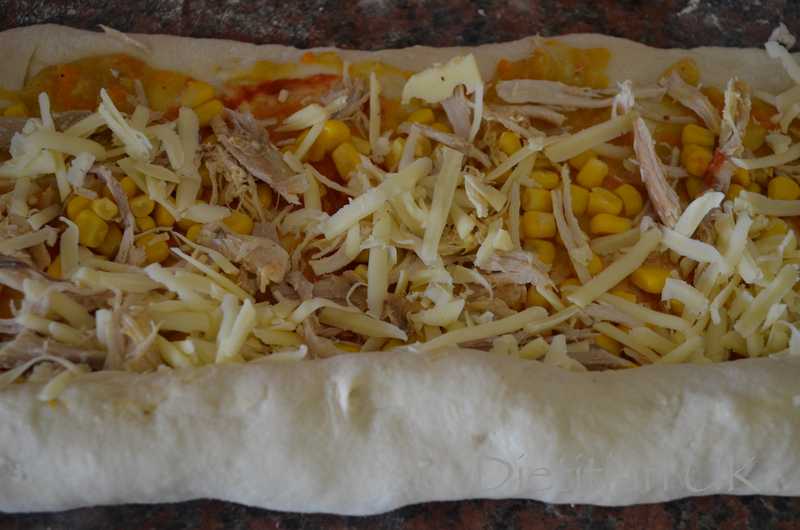 Place onto a greased, floured baking tray and bake in the oven for 15 minutes. Previous PostYoghurt Coated Frozen FruitNext PostPriya finalist for British Dietetic Association Media Spokesperson of the Year!